Am I dead? Apparently so. Adding to the mystery, you have no memory of how it may have happened. As you discover more,death seems to be the least of your problems. Elisa Cameron must work quickly to save her sister, her future, and possibly the world. From the best selling Dark Horse graphic novel, “Ghost”, comes a story of supernatural proportions! Ghost: Elisa Cameron tells the otherworldly story of journalist Elisa Cameron who wakes in the alternative reality somewhere between the realm of the living and the dead in Arcadia and must solve her own murder and bring them to justice on the other side. Players must deftly use detective reasoning to carefully navigate through the 3D city of Arcadia in order to unravel Elisa’s murder, learn her true origin and possibly save the world in the process. 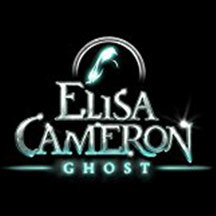 Ghost: Elisa Cameron provides more than four hours supernatural quests, mysterious problem solving mini-games and the need to analyze collectible items.